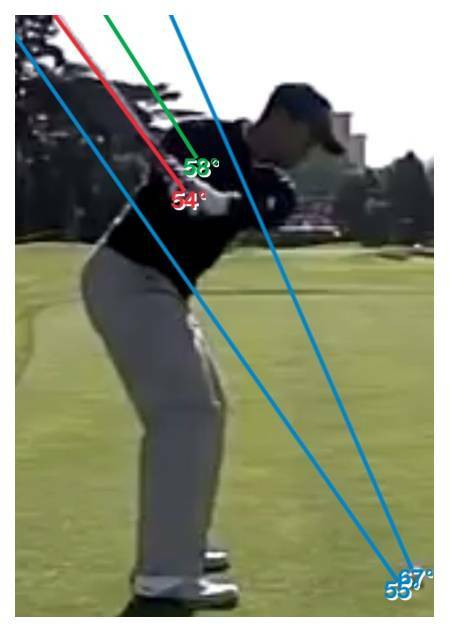 The golf swing plane is the path that the arms and club take as they swing around the body. 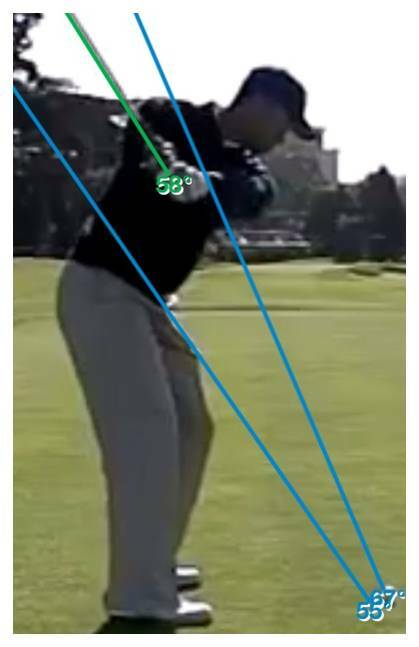 Stance, posture and the length of club will all alter the intended swing plane. The Driver (left photo) will promote a flatter plane. 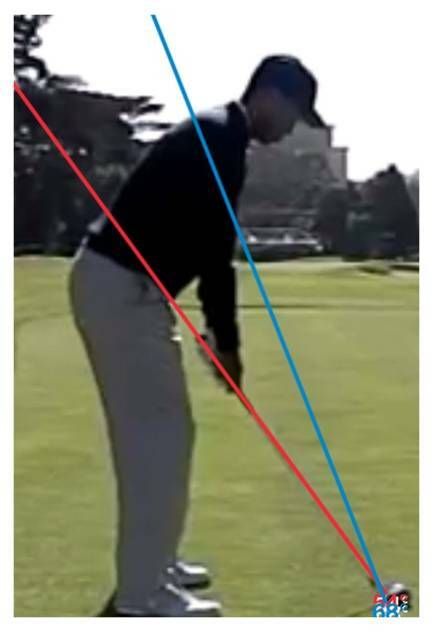 The intended swing plane is determined by an imaginary line running through the club shaft (red) and a line running from the ball up through the shoulders (blue). 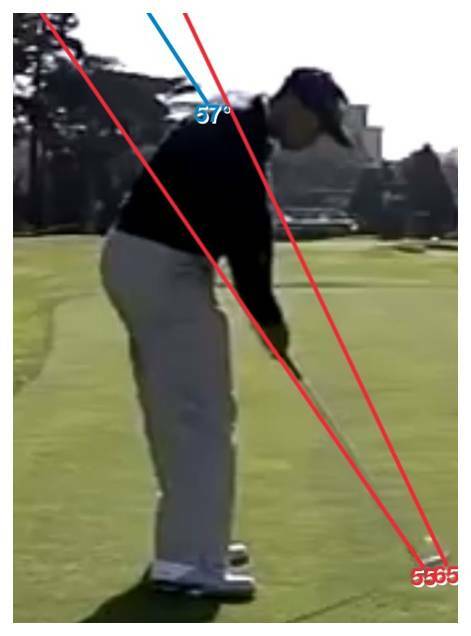 Backswing (green) - the shaft swings on the correct plane by staying inside the lines and running along a parallel line. 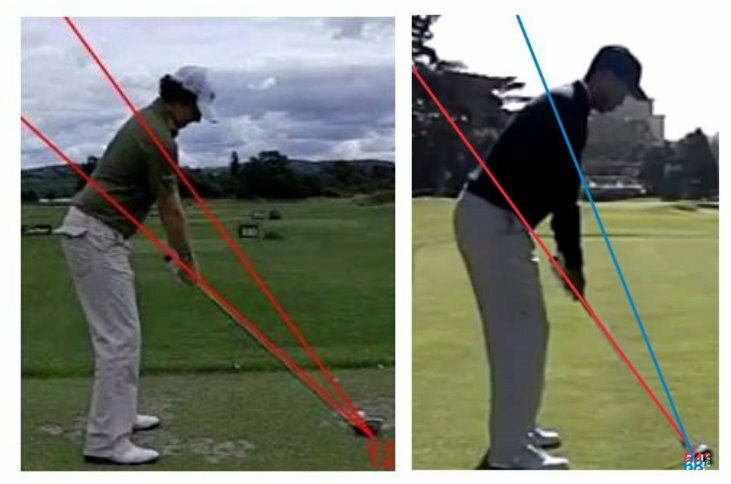 Downswing (red) - again the shaft is on the correct plane, although now slightly flatter/lower than the backswing plane (green).